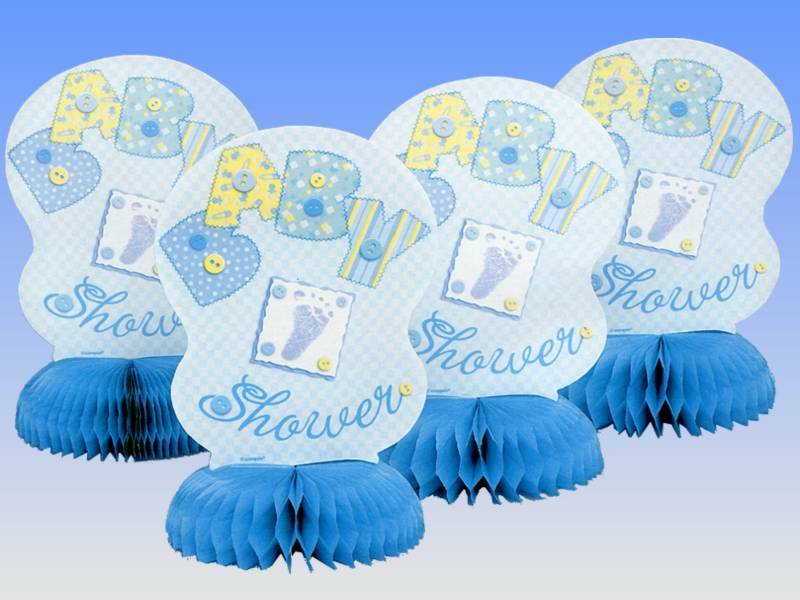 Having a baby shower party seems a fun and simple ideas to celebrate the recent birth of the baby. 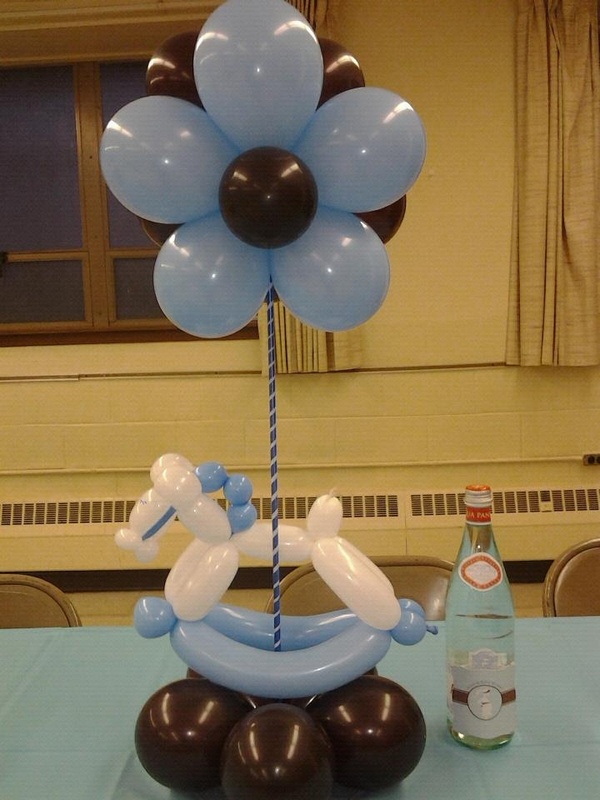 In another culture, this party is used to celebrate the transformation of a woman to be a mother. 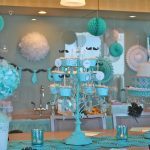 If you have a plan to hold a baby shower party, you need to consider several preparations such as the concept of decoration. 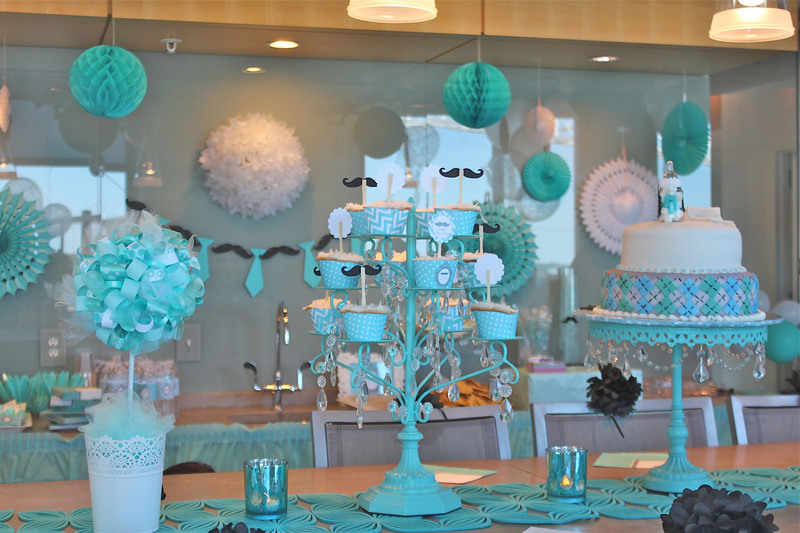 To save the money used for party, you can think about making baby shower centerpieces for tables by yourself. 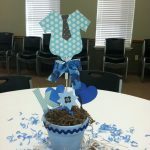 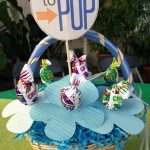 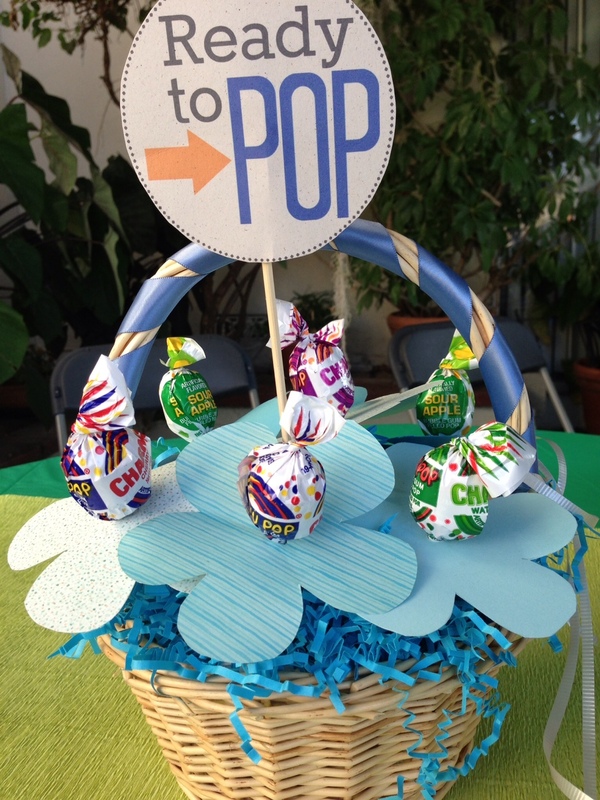 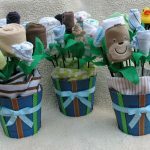 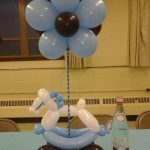 If the baby is a boy, you can take some inspirations from the pictures of cute baby boy shower centerpieces for tables in this article. 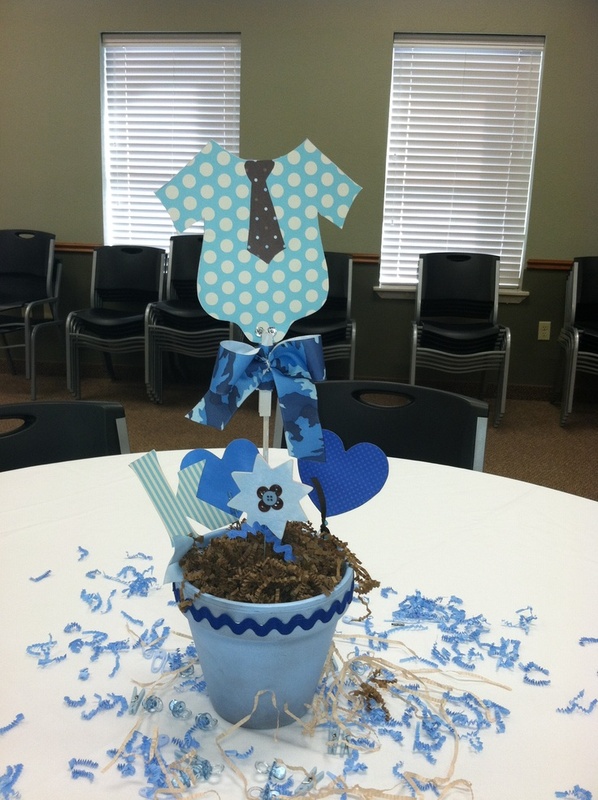 First of all, let’s consider creating a sophisticated baby boy shower centerpieces for tables which is simple but attractive and creative. 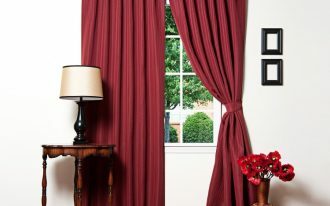 Then, you can pick a soft color scheme if you want to present a neutral and traditional outlook. 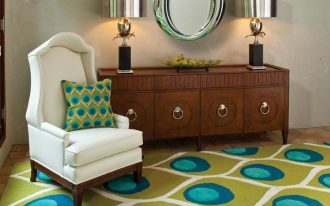 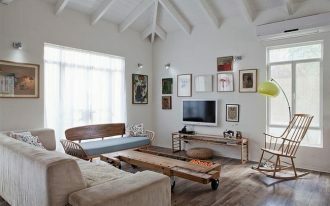 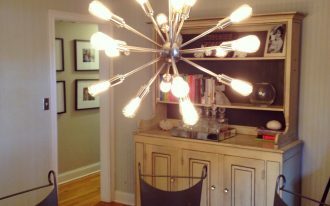 Meanwhile, use bright or bold color scheme if you want to have a modern decoration. 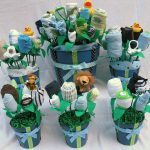 For example, you can make a diaper cakes as your centerpiece for table. 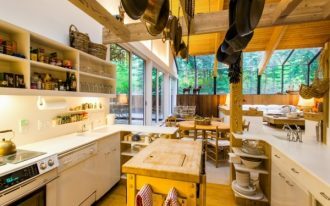 You can save some money if you make it by yourself as it is very simple. 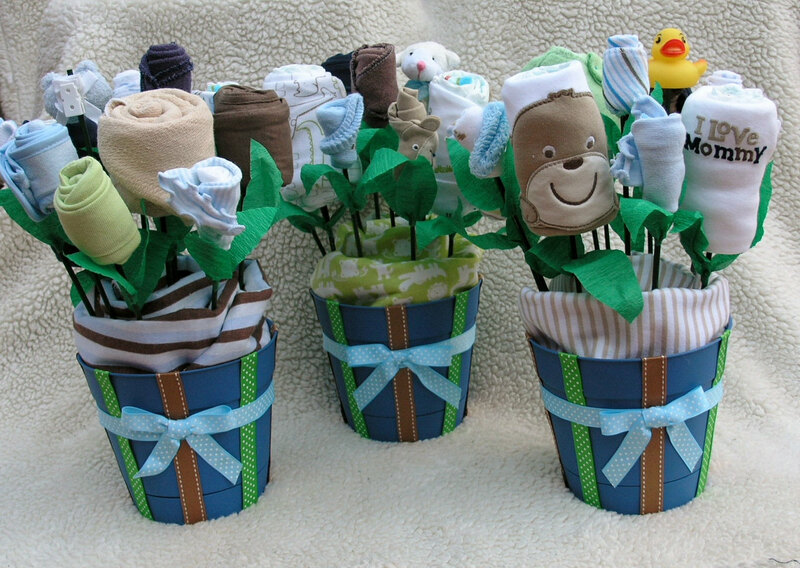 First of all, roll up some diapers and tie each of them by using string or ribbon. 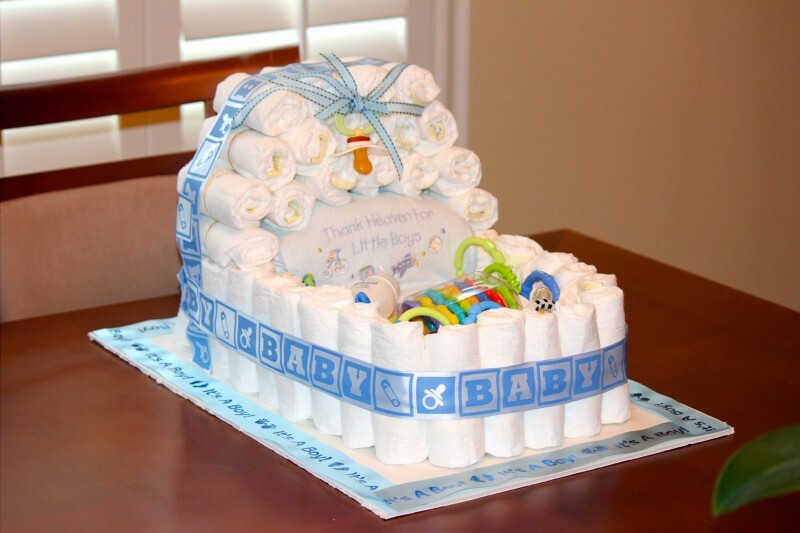 After that, you can assemble the tied diapers so that it looks like cake layers and tied them by using string. 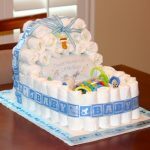 You can arrange it in two or three layers and tie a bow around the diaper cake. 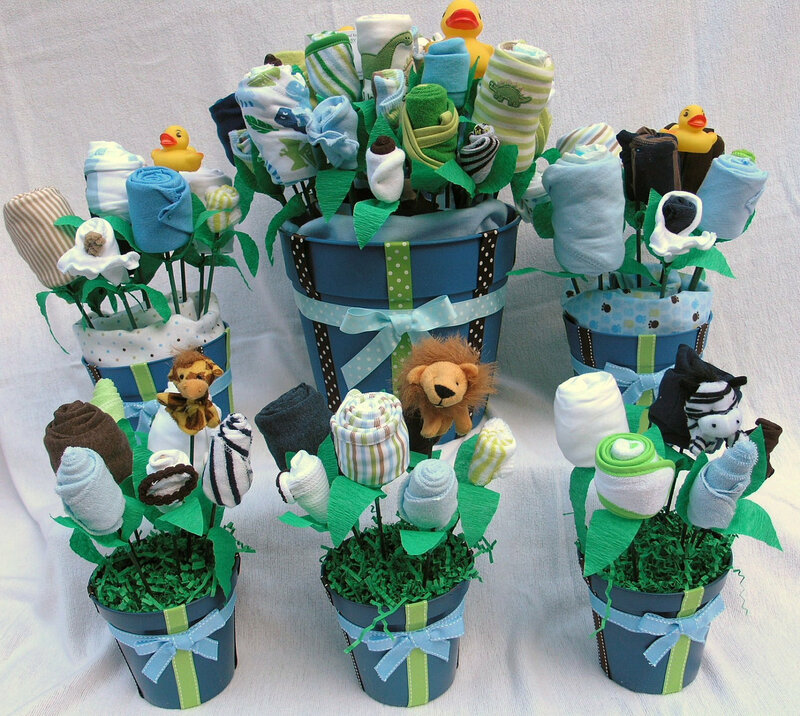 You can beautify this diaper cake by arranging some plastic flowers, ribbon or baby goodies. 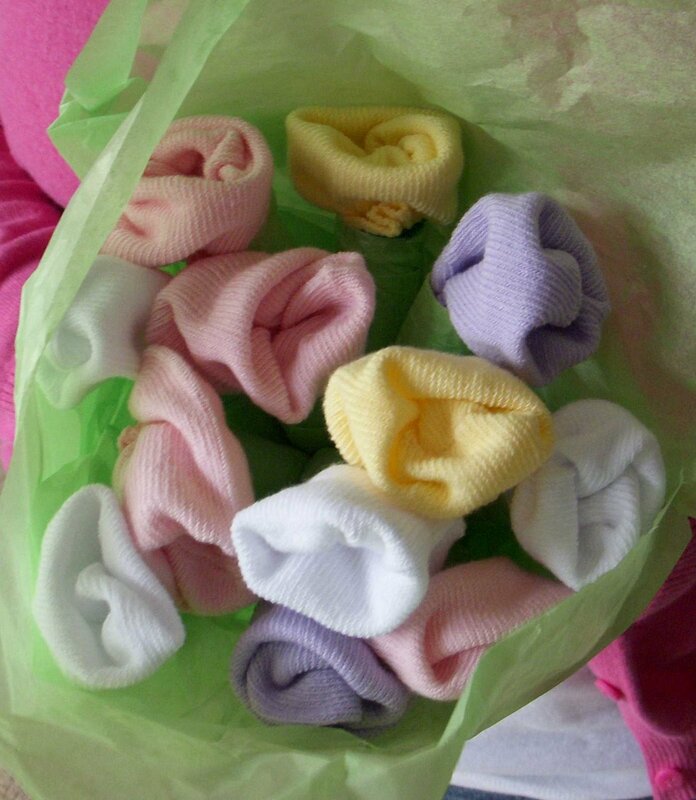 Alternatively, you can make sock bouquets by using baby socks. 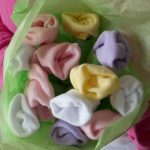 First, you need to roll up the baby socks to look like a flower such as roses. 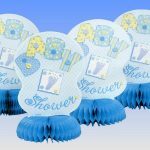 You can use various color of shock so that it will look more colorful and cheerful. 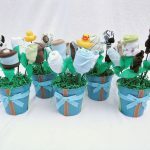 Then, wrap the bottom of the rolling sock with florist’s wire and cover it with green tape. 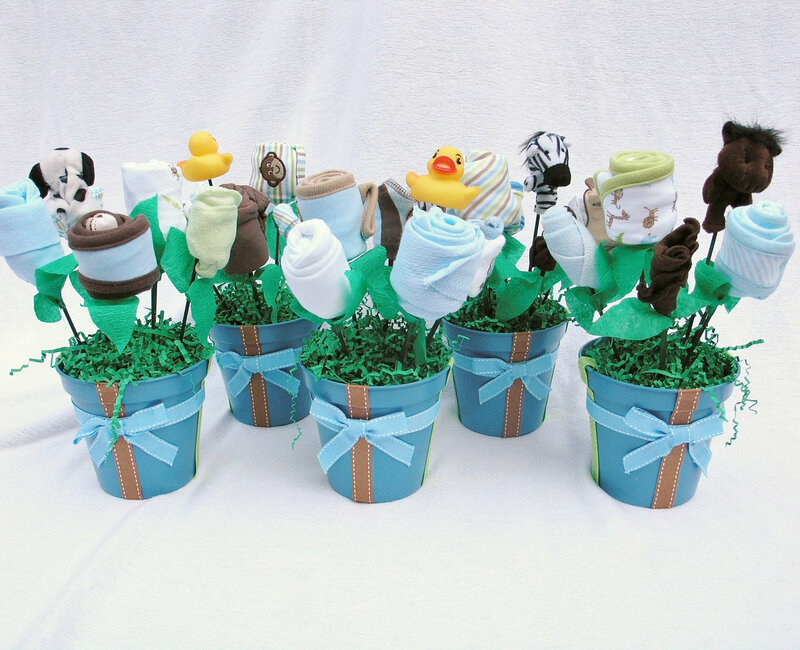 Last, put them on a vase with a silk greenery.